The FBI has been exaggerating how much of a problem locked and encrypted smartphones are in criminal investigations, according to a new report. The agency apparently provided “grossly inflated statistics” to lawmakers and the public about how many devices it was locked out of. More than that, the FBI repeated those claims over a period of time last year, The Washington Post reported. The FBI has said that its investigators could not access about 7,800 devices linked to crimes last year. But WaPo learned that the actual number of encrypted devices was quite a bit smaller, likely between 1,000 to 2,000 devices. FBI Director Christopher Wray repeatedly offered those inflated statistics as evidence that encrypted software was a major roadblock in criminal investigations. Attorney General Jeff Sessions has also used those inaccurate statistics in various remarks he has made. Officials have since learned that the number of devices was grossly inflated. The FBI first became aware of the miscount sometime in the last couple months — and it stilldoesn’t have an accurate estimate as to how many devices it’s received connected to criminal investigations throughout 2017. As to why the number was exaggerated, the FBI chocked the miscount up to a “programming error.” The Bureau noted that “Going Dark,” its name for the issues associated with encrypted devices, is still a “serious problem” for law enforcement entities. “The FBI will continue pursuing a solution that ensures law enforcement can access evidence of criminal activity with appropriate legal authority,” the FBI said in a statement. The “Going Dark” issue, arguably, peaked in the wake of the San Bernardino shooting in 2015. When the FBI ran into trouble accessing an iPhone 5c belonging to one of the shooters, they demanded Apple create a backdoor into the device. 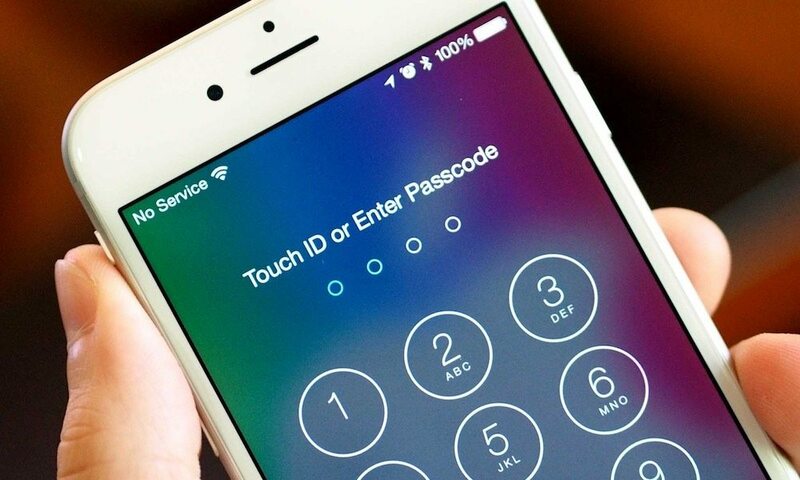 Famously, Apple refused — though the FBI eventually found another way into the device. Law enforcement agencies across the U.S. have maintained that they should be able to access encrypted devices with a court order. But tech firms and privacy groups have defended strong encryption measures as a way to protect consumers against hackers, governments and corporate entities. Apple itself raised concerns that creating backdoor vulnerabilities could open the floodgates for abuse by bad actors. Strong encryption measures have led some police departments to desperate measures. Earlier this year, Florida detectives attempted to unlock a smartphone with a dead man’s fingerprint. But law enforcement entities may have other tools available to them. Earlier this year, reports revealed the existence of an iPhone hacking device called GrayKey. The device, which can reportedly unlock basically any modern iPhone, is being snatched up by police departments, state law enforcement, and federal agencies across the U.S. Along with the Secret Services and various regional police agencies, the FBI is looking into purchasing GrayKey devices for its own use, Motherboard reported in April. Apple, for its part, has introduced a new measure in beta versions of iOS 11.4 that could help block similar hacking tools.